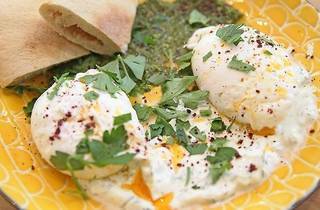 IMA's Israelian-inspired brunch picks up sticks and heads to the leafy terrace of Musée Cognacq-Jay from May 6 to September 30, 2017. Fans of mediterranean cuisine made famous by Ottolenghi will surely know IMA near canal Saint Martin. This beloved vegetarian cantine and brunching spot is about to take its greek-influenced food, Brûlerie de Belleville coffee and head to Musée Cognacq-Jay for the summer. From May 6 to September 30 2017, IMA is installing a branch in this beautiful museum in the 3rd. Each weekend brunch will be served to 60 seats on the leafy courtyard terrace. 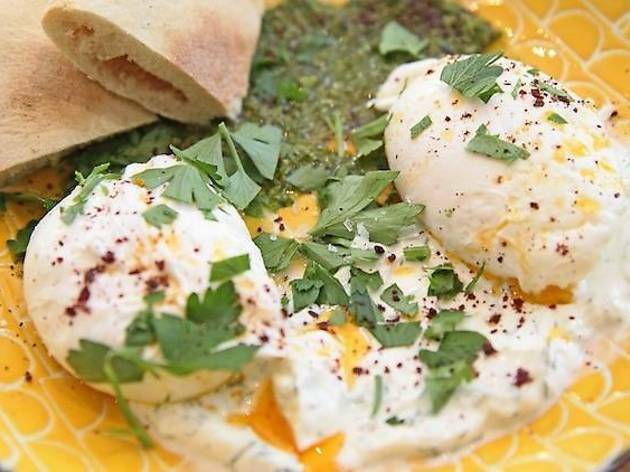 Bag a spot and you'll be treated to the famous shakshuka or a delicious cilbir (in the photo) which is comprised of poached eggs, herby labneh, mint pesto and spicy butter. With sunshine served on a plate, we're halfway to summer. What ? IMA brunches throughout spring and summer. When ? From May 6 to September 30 2017; Sat & Sun, 10am-6pm. Where ? Musée Cognacq-Jay, Hôtel Donon, 8 rue Elzévir, Paris 3rd.